Christopher Pincher, MP for Tamworth, has urged local businesses to get involved in the creation of Tamworth’s Business Improvement District (BID). With support from the Council, local businesses and organisations of all sizes and sectors across the town are coming together to establish a Business Improvement District in Tamworth. Similar projects are under way across the country and it is thought it could generate thousands of pounds extra on boosting the local economy in Tamworth and help regenerate the town. Local businesses can get involved by participating in consultations and working groups aimed at researching how the BID can best serve the local priorities of the town. Should the plan take off, it will see a range of projects launching across the town to benefit the local economy and community. These projects will be funded by a small levy on participating businesses – a contribution that would allow them to have their say in how the money is spent. The size of the levy will depend on the size of the business so big retailers in the town will contribute much more in pounds sterling. 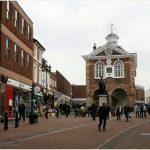 Click here if you are interested in finding out more information about Tamworth’s BID or would like to register your business.